Spicejet's shares have surged for 24 per cent consecutively over the last 3 days. As per the filing, the airline will connect Mumbai to a host of international destinations with direct non-stop flights to Hong Kong, Jeddah, Dubai, Colombo, Dhaka, Riyadh, Bangkok and Kathmandu. The new international flights will commence from May-end. SpiceJet formed a gap up chart pattern today in the early trading session and opened with a gain of 3 per cent on the Bombay Stock Exchange. The stock rallied as much as 8.69 percent to hit the day's high of Rs 119.45 against the previous close of Rs 109.90. Over 71.02 lakh shares changed hands on BSE, which is above the 5,10 and 30-day volume-traded average, and contributed a turnover of around Rs 88.8 crore intraday on the exchange. The stock has have been delivering positive returns of over 62 per cent in 6 months, 46 per cent in 3 months, 50 per cent in the last one month and over 22 per cent in the last week. SpiceJet will be first and only Indian budget carrier to launch daily direct flights on the Mumbai-Colombo, Mumbai-Dhaka, Mumbai-Riyadh, Mumbai-Hong Kong and Mumbai-Kathmandu sectors. SpiceJet had last week announced six new domestic flights connecting Mumbai with Kolkata, Chennai and Varanasi. While SpiceJet's international flight to Bangkok will start from 17th May, 2019, the domestic flights are effective 18th April, 2019. Ajay Singh, Chairman and Managing Director, SpiceJet, said: "We are delighted to connect a large number of popular international destinations from Mumbai, a city that has always been a key and integral part of our network. SpiceJet will be the only Indian budget carrier operating on a majority of routes that we have announced today thus providing leisure and business travelers with more options to choose from." 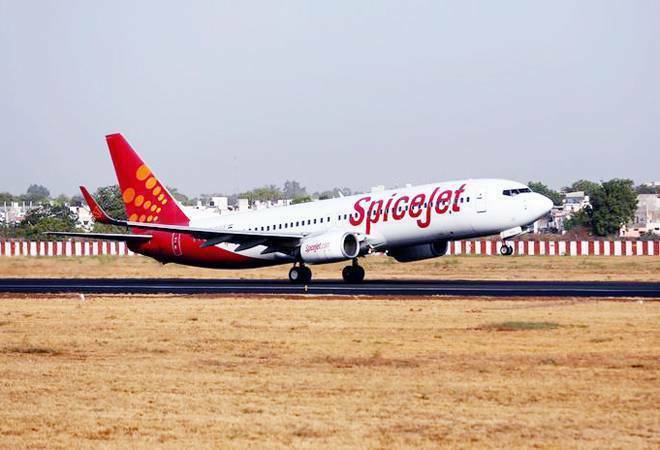 On April 12, SpiceJet in its press release had said that it would be inducting 16 Boeing 737-800 NG aircraft on dry lease and had said that the new inductions will not just bring down flight cancellations to nil but also help in the company's aggressive international and domestic expansion plans.